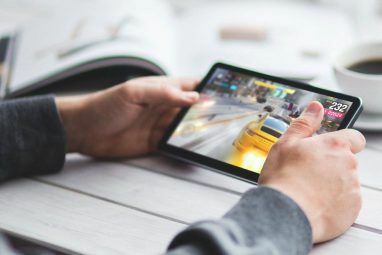 Most browser games simply serve to waste some time 20 Addictive Web Games Perfect for Short Breaks 20 Addictive Web Games Perfect for Short Breaks Waiting for your next class to start? Have another 10 minutes before your office lunch break ends? Then you'll love these small, lightweight, no-commitment web games. Read More . They’re not generally considered as deep or strategic. However, we showed you that free and deep browser strategy games 5 Surprisingly Deep Free Browser-Based Strategy Games 5 Surprisingly Deep Free Browser-Based Strategy Games Look around any corner of the web and you'll find no shortage of "strategy browser games," but many of them don't actually require much strategy. These, however, definitely do! Read More are possible, and we’re back with more. 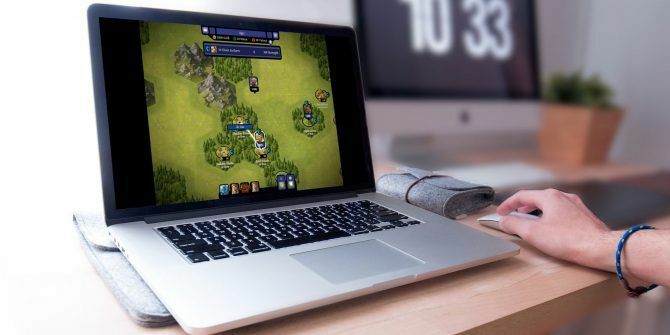 These five browser-based strategy games will appeal to many types of strategy gamers. Some of them look a bit dull on the surface, but they’re all hiding some serious strategic depth. And they’re completely free. So bookmark a few of these pages and get playing! Not many games would so proudly proclaim themselves “the slowest real-time game you’ve ever played.” But Blight of the Immortals does. And it works. You might think repelling zombie hordes would be a fast and frantic affair, but this is a more leisurely-paced game. 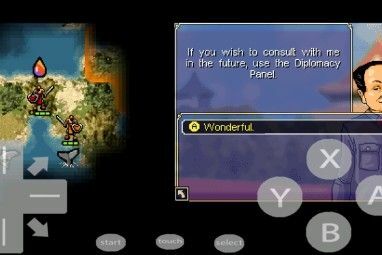 Each turn lasts six hours, so players are encouraged to check in every once in a while instead of playing in real time. Blight of the Immortals feels a lot like a board game 9 Awesome Board Games Based on Video Games 9 Awesome Board Games Based on Video Games Board games based on video games might seem like a strange concept, but it can work really well. Grab one of these games, and you'll be hooked! Read More . At the beginning of each match, you construct your deck out of available cards. Then, each turn, you’ll have five cards to play — each of which gives you a special hero power. By training, managing, and efficiently battling with your armies, you’ll survive. You’ll need to manage your resources and play the right cards at the right times to defeat your opponents. And by spending the coins you earn from playing, you’ll add more heroes to your deck. It’s an addictive combination. Neat touches like needing to burn defeated soldiers so they don’t turn into zombies make it a surprisingly thematic and engaging game too. This might not seem like a strategy game at first. Most match-three games aren’t very strategic, but Gridland is different. You’ll need some clever thinking about the matches you make to succeed in both game modes. The game contains two phases: day and night. During the day, you’ll gather resources to build up your settlement. At night, you’ll use weapons and defenses to survive attacks from various creatures. You’ll have find those matches quickly if you want to make it. It’s hard to do Gridland justice. It’s surprisingly deep and engaging when you get into it. And discovery is a big part of this game, so I won’t go into more detail. There’s really no way to properly describe it. Just go check it out. Another card-based game, Card Hunter is a tactical collectible card game (CCG) that you can play in your browser or through a downloaded app. It blends roleplaying and deckbuilding with a sense of humor that any card or role player will appreciate. You can play in both single and multiplayer modes, and the more you play, the more cards you collect (in this way, it’s a lot more player-friendly than some of the pay-to-win online games out there). Each battle is a turn-based strategic face-off in which you play cards to move and attack. The real fun of Card Hunter is managing your characters’ decks. You’ll need to give them the right combination of eight types of cards to defeat the minions and monsters you encounter. Whether you’re a long-time card-game player (like me) or not, this is one you’ll keep coming back to for hours on end. I love tower defense games. And there’s none better than Kingdom Rush. If you’re familiar with the game, you probably know its mobile version. But you can also play the game in your browser. If you’ve never played Kingdom Rush, get ready for extremely strategic tower defense. There are lots of tower types, multiple upgrade paths, tons of minions with different strengths and weaknesses, and some really interesting stage layouts. There are even boss fights where you’ll need to plan ahead to make sure you have the best towers for dealing a lot of damage quickly, but also make sure you’re able to take down the minions he sends ahead. It looks cute and goofy — and it is — but there’s a huge amount of strategic depth in this game. If you’re into board games, Through the Ages is the perfect browser strategy game for you. It’s one of the most popular heavy strategy games, and it will tax your strategic thinking every time you play (and if you like it, there are lots of other options for playing board games online The 5 Best Sites to Play Free Board Games Online The 5 Best Sites to Play Free Board Games Online Love to play board games? Want to play them in the digital space? These five online board gaming sites will help you get started, and they won't cost you a dime. Read More ). The website’s interface isn’t great, but it works. And it supports the newest version of the game, which is balanced more evenly. You’ll need to read the rules before you get started, but once you do, you won’t want to stop. You won’t find any computer players or single-player gameplay here. It’s turn-based, asynchronous strategic warfare. You’ll start a small society with limited technology and advance it through time while upgrading your tech. Go from basic warfare to military theory, philosophy to the scientific method, and simple farming to mechanized agriculture. As you play, you’ll also recruit famous leaders, from Aristotle and Homer to Bill Gates and Sid Meier, to lead your civilization. It has a pretty serious learning curve, but this is one of the most strategic games out there. If you want to play against AI, there’s a phenomenal iOS app for the game. These five games will keep you busy for hours collecting cards, building decks, trying new strategies, and competing against other players. 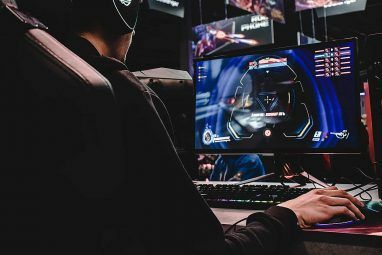 But there are always more strategy games out there 6 of the Hardest, Most Unforgiving Strategy Games Ever 6 of the Hardest, Most Unforgiving Strategy Games Ever Ready to distinguish yourself from the masses? Here are some of the toughest strategy games ever designed. Try mastering all of them. Read More , including a number of excellent war strategy games 8 WW2 Strategy Games That Get You Into the War 8 WW2 Strategy Games That Get You Into the War Looking for the best WW2 strategy games? Here are eight great titles that let you command troops, make tough decisions, and live out famous battles from WW2. Read More . Even when they’re just in your browser, they can be ridiculously addicting. What are the best browser-based strategy games? Which do you think are deceptively deep? Share your favorites in the comments below! Explore more about: Free Games, Strategy Games.